This is the last topic I wanted to talk about. This is a sad, sad story on every level. I am talking, of course, about the fact that Adrian Peterson turned himself in to Texas authorities, posted bond, and was released after being indicted on charges of child endangerment, specifically for allegedly spanking one of his sons with a wooden switch on or around May 18. He used the same kind of discipline with his child that he experienced as a child growing up in east Texas. Adrian has never hidden from what happened. He has cooperated fully with authorities and voluntarily testified before the grand jury for several hours. Adrian will address the charges with the same respect and responsiveness he has brought to this inquiry from its beginning. It is important to remember that Adrian never intended to harm his son and deeply regrets the unintentional injury. It’s entirely possible and plausible that Peterson is indeed a loving father who believed he was disciplining his son in the manner he was familiar with from his own upbringing and which he believed to be beneficial to his son. I was never hit with a switch but I was spanked plenty. And I had the great displeasure of being paddled with a wooden paddle by a fourth-grade teacher for no apparent reason. The teacher in question struck fear into the hearts of my fellow students, with his wooden paddle prominently displayed hanging on his home room wall behind his desk. “Assume the position,” this guy would tell the unlucky student who became the object of his wrath. The kid was required to march to the front of the class, bend over, touch his toes, and get a firm swat from his paddle. The teacher was a sadist but my point is that times were different and everyone accepted this guy’s appalling behavior. 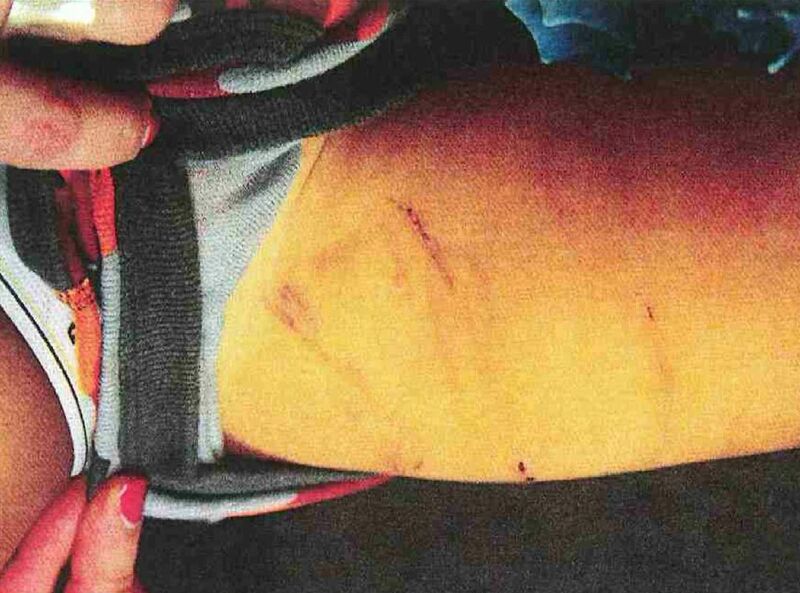 And then there are the pictures, published by Deadspin, of the injuries incurred by the child. 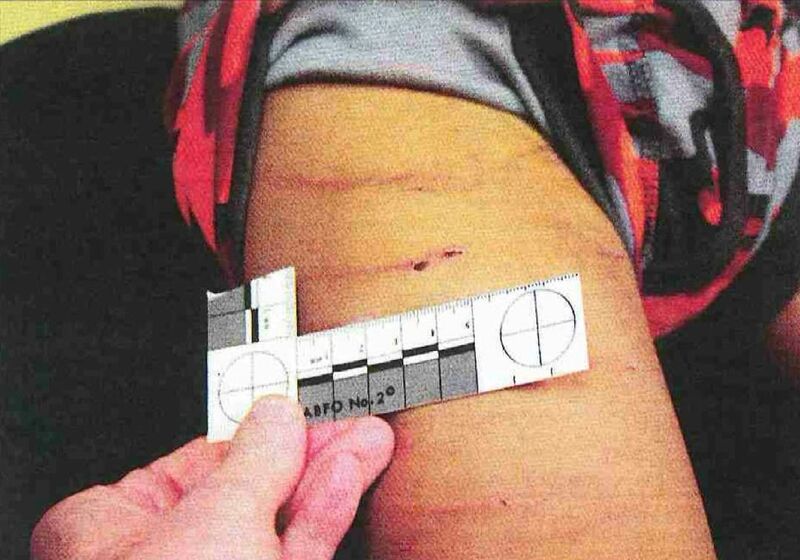 Keep in mind that these pictures were taken a week after the kid suffered the punishment and that neither Peterson nor his lawyer have contested the authenticity of the photos. I believe Peterson went way beyond what is appropriate punishment of a child but I acknowledge, judging from the many comments I’ve read online on the matter, that there are plenty of people who disagree with me. On my Beyond Social Media Show podcast this week, I discussed the Ray Rice case and the Ravens’ and the NFL’s mishandling of it. I said Rice should’ve been released the moment the team learned he had punched and knocked unconscious his then-girlfriend. I made the point that two days after Rice was suspended he received a standing ovation from Ravens fans. With that kind of behavior, we fans are part of the problem and I want no part of that. NFL teams are like no other businesses. They enjoy huge public subsides for their stadia. They play an enormous role in shaping our culture. Rightly or wrongly, their employees serve as role models for our kids and far too often, those very same employees’ bad behavior appears to be beyond the law at worst, and beyond common decency at best. I believe people can change. I believe in redemption. I believe everyone deserves due process and a clean slate after they’ve paid their penance. But I also believe that Adrian Peterson is no longer a good fit for the Minnesota Vikings, for a whole host of reasons, the most important of which is the treatment of his son. The team would be well within their rights to release him simply based on conduct detrimental to the team. The public relations fiasco his conduct has created is certainly detrimental to the team. I can’t imagine, given the storm of criticism the NFL is currently weathering due to their mishandling of the Ray Rice situation, that they will not come down hard on Peterson. He will certainly be suspended for many more games than the one game for which he will be deactivated on Sunday. Again, clearly detrimental. Not that that matters so much, given the gravity of the charges. The Vikings should release Peterson. They should set a standard of behavior for their team, do right by their fans, and look to the future with an exciting collection of talent that hopefully lives up to their own self-ascribed standard of employing quality people as well as quality athletes. I hope some day someone puts a microscope on the life of the writer and publishes the writer's faults out to the whole world. Then, we can sit around and tell the employer of the writer to dismiss them from employment without a trial. That would be poetic justice. Can I get an amen? ?